These tools can be used to build community and continue the learning conversation started in the classroom, or they can be used as a stand-alone “just-in-time” set of resources for training in the flow of work—or anything in between. After almost two decades of “webinar” virtual classroom experiences, where the instructor lectured for 45 minutes while the phones were muted and the chat was turned off, virtual training is finally moving to a more facilitated model that recognizes the rare opportunity we have when learners from across the enterprise can meet together in real time. The modern workplace learning model recognizes the value of this real-time interaction between learners. As “lecture”-oriented material moves to more on-demand methods such as e-learning and video, facilitators are leading more interactive and collaborative sessions. I think we’re ready to do even more. It’s time to make the virtual classroom even more collaborative by taking advantage of social collaborative tools, which provide opportunities for less structured learning outside of the virtual classroom, as well as supplemental learning within the classroom. These tools allow us to take advantage of the diversity of knowledge that occurs when you bring a group of learners together. We can create activities and interactions where learners are interdependent and create a peer-to-peer learning experience. These tools can be used to build community and continue the learning conversation started in the classroom, or it can be used as a stand-alone “just-in-time” set of resources for training in the flow of work—or anything in between. A live virtual classroom lesson should not rely on the facilitator to provide all of the content. We need to take advantage of the expertise in the virtual room. Group Chat: Sometimes you just have to deliver short “lecturettes”—and it can be difficult to keep learners engaged for five minutes or more while you are speaking. Encourage learners to use chat such as a microblog (e.g., Twitter) feed, and capture key points and reactions to concepts. Then save the chat, edit out the unrelated chatter (but keep redundant key points), and either send out in an e-mail or post to a class forum. This can reinforce content while allowing learners to see that they share the same concerns and aha! moments as their colleagues. It also can make lectures more interesting for some. Advanced: Establish a class hashtag and have the producer share comments via a live Twitter feed. Wiki: An underutilized feature of the virtual classroom is synchronized web browsing. This feature allows the facilitator to send all learners to the same website while staying in the virtual classroom environment. Use this tool to send your learners to a wiki you created to support the class. Have the learners spend 10 minutes contributing to the knowledge base that already exists in the wiki. You don’t need to create this as a brand new environment every time you teach the class; you can build a community of learners by allowing each new cohort to enhance previous contributions. Advanced: Encourage subscription to the wiki. This will help extend learning beyond the formal event, and also teach individuals that expertise is everywhere, not just with the instructor. Blogs: Questions have power even after they have been asked and answered. During live lessons, have the producer transcribe all content-related questions into chat, and then use that chat to create a blog to summarize the conversation questions, and provide a concise summary of the answers so learners have them for future reference. Advanced: Assign each question to a learner to answer, instead of being answered by the expert, and then supplement their discussions when necessary. Forums: Discussion forums can enhance learning by allowing for learner reflection. Unfortunately, participation in a forum can seem like a chore. One way to encourage learner buy-in for a discussion forum is to have learners create the questions themselves during live virtual classroom sessions. A breakout activity can be a great way to brainstorm ideas for discussions, and apply guidelines to craft these ideas into compelling prompts for conversation. Advanced: Kick this activity up a level by asking learners to summarize their forum discussions, including responses and the value of contributed resources, in a blog-like summary. Besides serving as a reinforcement of content for the existing cohort, these blog contributions can be resources for future learners. Learning Community (like Facebook): Create a learning community for future participants mastering the same content. Automatically enroll all learners in this community and spend some live time exploring the community and discussing its benefits. Advanced: Encourage existing community members to adopt a new learner, effectively becoming a mentor for the content. This type of arrangement will help both parties. The mentor can learn while coaching the new practitioner. Text Messaging: It’s likely that all of your learners will have phones capable of receiving text messages. Take advantage of this ubiquitous technology by creating a series of short daily tips that support the adoption of the new skills being taught. Advanced: Encourage learners to share tips, as well. We don’t want to force people to be social. That’s like forcing an introvert to be the center of attention at a party. It might work once, but it will be difficult to encourage them to come back. Learners find constant activity in the chat area to be distracting. This means we need to give them permission to ignore chat or hide it completely. Learners don’t see the relevance in social activities. This means we need to provide examples of what has worked before and explain why each activity is included. Learners may go off point in social discussions, posting comments that are considered rude or that might cause compliance departments to become concerned. That means there needs to be active moderation. When you incorporate social activity into your training design, you not only provide opportunities to enhance the learning experience by encouraging individuals to learn from one another, you’re also creating the opportunity for participants in your training event to develop a longer-term learning community. Once learners become accustomed to contributing to a body of expertise, and consuming knowledge shared by other individuals, a true learning culture is created, one that can reduce the need for formal training events and allow individuals to truly learn at the moment of need. 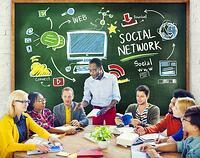 How do you make YOUR virtual classroom more social? Let us know! 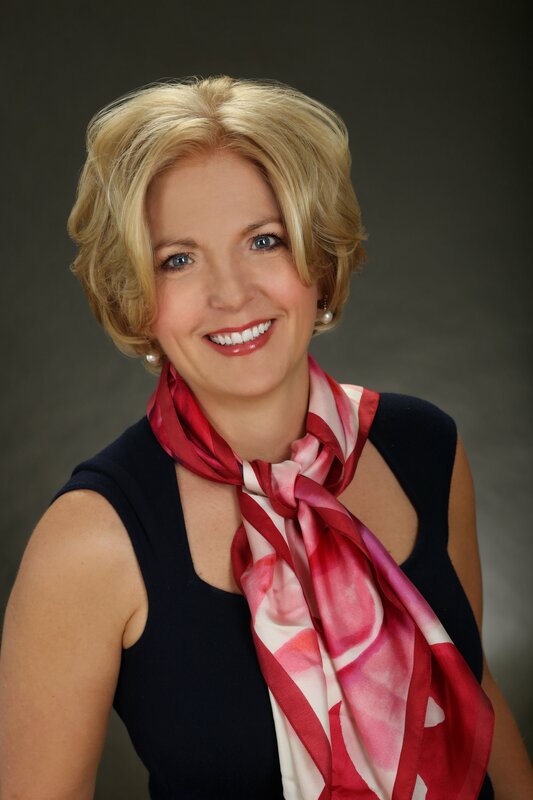 To learn more, I recommend Social Media For Trainers: Techniques for Enhancing and Extending Learning by Jane Bozarth. Find out more at: https://www.facebook.com/SoMe4Trainers. 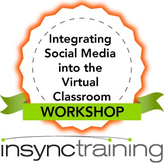 To learn even more, I recommend our new course, Integrating Social Media into the Virtual Classroom Workshop. This article originally appeared in Training Magazine Online on July 17, 2015 in the column "Virtually There."